A tropical paradise surrounded by beautiful beaches. 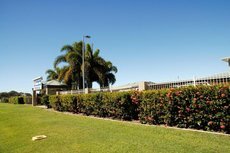 Commonly regarded as Queensland’s best kept secret, the North Queensland town of Bowen is teeming with magnificent attractions that will keep tourists entertained for days on end. 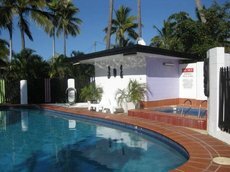 Located just north of Airlie Beach and the Whitsundays, where the bush meets the reef, the town boasts a surprisingly wide variety of landmarks, from sun-soaked golden beaches to the world’s tallest ‘mango’. 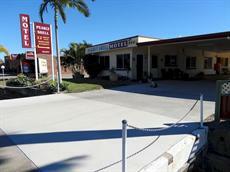 There are a few hotels dotted around the town, not to mention numerous caravan parks and backpacker inns. This makes it possible for tourists to stay several days to enjoy the tourist fruits on offer. The town sits on a peninsula, so it’s encompassed by a handful of beautiful beaches. These are arguably the area’s most treasured features. Horseshoe Bay and the ever-inviting Queens Beach are among the best strips of sand that fringe Bowen. Of course, sunbathing and swimming are only part of the fun. 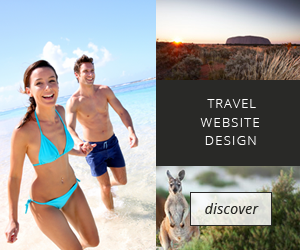 Sailing, snorkeling and scuba diving are also on offer here. Just off-shore from Bowen is Gloucester Island. Its crystal clear waters make for perfect diving spots. The town is found in one of the most picturesque parts of Queensland, so memorable photo opportunities are in abundance. Several lookouts can be reached on foot from almost anywhere in town, including Mt Nutt Lookout, Flagstaff Hill, and Grays Bay Lookout. 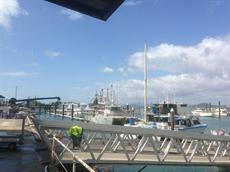 Picture-perfect views of the town and surrounding Whitsundays are on display for all to see. 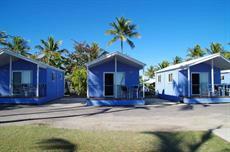 From most lodgings and hotels in Bowen, it is easy to reach the local museum on foot. 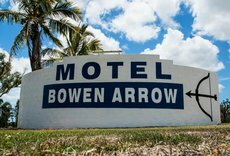 The Bowen Historical Society Museum takes visitors through the town’s long and fruitful past, from its early port beginnings to the story of its flourishing mango trade. Speaking of mangoes, a trip to Bowen is never complete without visiting the Big Mango, outside the visitors centre. This 10-metre-high giant mango is the symbolic icon of the town. 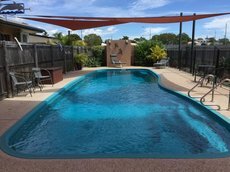 Bowen has many great hotels and resorts, perfect of a romantic getaway, weekend escape or family vacation. Click through the list below to check availability and pricing. Horseshoe Bay and Queens Beach are some of the beautiful beaches that fringe Bowen.